The Twilight Zone Vortex: "Miniature"
Charley Parkes is an introverted man who works a menial job and still lives with his mother. He uses his lunch breaks from work to visit a nearby museum. There he comes across a curious dollhouse. A staging of a nineteenth century domestic scene, the dollhouse comes to life before Charley’s eyes. A beautiful young woman seated before a piano begins to move and play. Amazed, Charley asks the museum guard how this effect is achieved. The guard gives Charley a questioning look and tells him that the wooden doll does not move and there is no music to be heard. Charley eagerly visits the dollhouse each day, standing in front of the glass display watching the young woman go about her daily business. The museum guard begins to show an interest in Charley, curious as to what Charley sees in the display. Charley’s obsession with the dollhouse grows to the point where he is gently let go from his job after returning late from lunch. Instead of looking for work Charley spends more time at the museum gazing into the dollhouse and speaking softly to the young woman within. Into the world of the dollhouse comes a caped, mustachioed rogue who is after the young woman’s hand in marriage. Charley is helpless but to watch as the young woman futilely attempts to ward off the rough suitor. Charley’s frequent trips to the museum catch the attention of his sister, Myra, who is concerned about her brother’s welfare. Myra believes Charley should be free of their mother’s house and living with his own wife and family. Charley reluctantly agrees to go on a blind date with Myra’s friend Harriet, a date which ends in disaster as Charley is unable to loosen up and enjoy himself. When Charley again visits the dollhouse he sees the rouge suitor attacking the young woman and tries to break the glass display in order to stop it. Charley is subdued and committed to a psychiatric institution where he is placed under the care of Dr. Wallman, whose stated mission is to help Charley rid himself of the delusion that the doll of the young woman is alive. At first Charley refuses to acknowledge that it is a delusion but soon realizes that his only way free of Dr. Wallman’s care is to feign a total recovery. Charley is eventually released into his mother’s care where he appears to have made a remarkable turnaround. Charley escapes from his bedroom as soon as he is able in order to return to the museum and the dollhouse. Charley hides inside the museum and waits until after closing to emerge into the darkened corridor. There he turns on the dollhouse display and sees the young woman inside. She is sad and crying heavily. Charley desperately wishes to comfort her but he cannot do so from outside the dollhouse. He wills himself desperately to join the young woman's world inside the dollhouse. Charley’s family discovers his absence and contacts Dr. Wallman, who knows exactly where Charley has gone. A search of the museum, however, yields no evidence of Charley’s whereabouts. Or does it? As the museum guard gazes into the dollhouse he sees a new doll within. It is a familiar looking young man sitting comfortably beside the young woman. The guard smiles because he knows this man, and he also knows that he will not say anything about what he’s seen because nobody would ever believe him. It is a terrible irony that the fourth season is arguably the strongest showcase for the talents of writer Charles Beaumont. The season served as a swan song of sorts for his writing career before the onset of debilitating effects from what is believed to be early onset Alzheimer’s. As is well documented, Beaumont began to suffer memory loss which increased in severity and slowly robbed him of his ability to write. Beaumont’s professional commitments were completed by his friends under Beaumont’s byline to benefit the Beaumont family. The fourth season is also occasionally derided as unworthy of time or consideration due to the hour-length of the episodes and the resulting change to the snap-ending formula of the half-hour segments. The fourth season showcased a number of moving and thought-provoking stories which offered more complex narratives and greater shades of characterization than many of the half-hour offerings from previous seasons. Charles Beaumont provided more teleplays (5)* for the fourth season than he did for any prior season and appeared to flourish given the extra half-hour of time. Among this final gathering of Beaumont’s tales is perhaps his finest script for the series, “Miniature,” a highly personal vision aided by an exceptionally moving performance from Robert Duvall and the spoils of the show’s talented production team. It is perhaps not too strong to suggest that “Miniature” is one of the finest hours of fantasy television presented in that rich decade of the 1960s. Nolan revealed more about his role as inspiration for “Miniature” in an audio commentary which accompanied the episode on the Blu-ray release of the series. Beaumont took the raw material of Nolan’s life at the time, his shyness around women, his meek appearance, his living situation with his mother, his struggles to fit in at work, and crafted a moving tribute to his close friend and a potent examination of the ways in which society can pressure an outsider to fit an acceptable mold. A surprising aspect of the episode is its humor. Though the humor is never in danger of spoiling the carefully constructed gravity of the narrative, it lightens the fantasy and prepares the viewer for the lighthearted and sentimental tone of the ending. A humorous moment occurs on the initial visit to the museum with Charley. Discovering the cafeteria to be closed, Charley attempts to ascend the main stairway only to be ambushed by a tour group descending the stairs. Attempting to push his way upwards through the crowd, Charley is instead pushed back down the stairway as though by a wave. Incidentally, it is in this way that Charley happens upon the display of the dollhouse which will come to consume his life. It is a perfectly staged moment which not only serves to provide humor but also to illustrate Charley’s place in the world as a mild man who prefers quiet solitude but continually finds himself pushed this way and that by crowds, coworkers, and family members. A broader moment of physical humor occurs later when Charley witnesses the young woman in the dollhouse being led away by the roguish suitor. Attempting to better see them exit the dollhouse, Charley presses his face against the glass in a comical expression. It is an odd moment for comedy but fortunately does not ruin a carefully built scene of tension. The intrusion of humor in an otherwise serious production is sometimes used to reinforce the idea that the play is a fantasy and not to be taken too seriously, although it is just as likely that here the humor was used to better illustrate the awkwardness of Charley Parkes. “Miniature” also contains some recognizable motifs from Beaumont’s other scripts, notably the use of psychoanalysis as a tool for narrative transition. Beaumont was clearly fascinated with the field of psychology beyond its utility as a method for conflict. Beaumont’s first episode for the series, “Perchance to Dream,” is told from the psychiatrist’s couch. A later episode, “Person or Persons Unknown,” makes use of similar circumstances. Beaumont seems to have little faith in the process, however, as each case features a person undergoing an extraordinary event but unable to convince rational-minded authority figures of their sanity. Producer Herbert Hirschman told author Marc Scott Zicree that he believed the episode had its genesis in a previously published story, one which also concerned a dollhouse and featured an enormous hand descending on an occupant of the house. The story Hirschman recalled is “None Before Me” by Sidney Carroll. Carroll (1913-1998) is remembered as an accomplished screenwriter (The Hustler) who also wrote for television, winning an Edgar Award from the Mystery Writers of America for his episode “The Fine Art of Murder” on the anthology series Omnibus (1956). Carroll also wrote for Alfred Hitchcock Presents and Roald Dahl’s Tales of the Unexpected. “None Before Me” was originally published in the July, 1949 issue of Cosmopolitan and benefited from being reprinted in Ray Bradbury’s anthology of fantasy stories, Timeless Stories for Today and Tomorrow (1952). The anthology went through numerous printings down the years and should be relatively easy to find. The story relates the tale of an elderly miser whose time is spent coveting the fine items his lifelong passion for collecting has yielded. The man purchases an antique dollhouse which quickly becomes an obsession. He creates imaginary lives for the occupants while also terribly mistreating them until a giant hand descends from above to crush him, as though he were in a dollhouse of his own. If Hirschman’s recollection is accurate then Carroll’s tale inspired two episodes of Twilight Zone as Rod Serling’s third season episode, “The Little People,” features an ending sequence also likely inspired by the tale. According to litigation introduced by a television writer named Clyde Ware, Beaumont’s script had its genesis in another story, a script Ware submitted to Rod Serling’s Cayuga Productions in the spring of 1961 titled “The Thirteenth Mannequin.” Ware’s claim of plagiarism was ultimately found baseless by both the initial judge and the appeals judge but did result in “Miniature” being kept out of syndication packages of the series for decades. “The Thirteenth Mannequin” concerns an elderly department store guard who becomes obsessed with the store’s twelve mannequins. The mannequins begin to feel more real to him than other people; they move and speak to him. Soon after the old man’s death a thirteen mannequin is added to the store, a mannequin which looks like him. Cayuga passed on Ware’s script and returned it to the writer. It was never produced for television although Ware steadily sold his writing to various series through the 1970s. Of interest is his adaptation of Robert Bloch’s 1960 story “The Final Performance” for The Alfred Hitchcock Hour. “The Thirteenth Mannequin” somewhat resembles Rod Serling’s first season episode “The After Hours,” which itself was the subject of baseless plagiarism charges when veteran pulp writer Frank Gruber claimed Serling stole the idea from Gruber’s 1949 story “The Thirteenth Floor.” Ware’s tale better resembles the later fourth season episode “The New Exhibit,” an episode which wears its influences on its sleeve. That episode was attributed to Charles Beaumont but was actually written by Beaumont’s friend Jerry Sohl. The subject of “The New Exhibit” is wax figures but the similarities remain. Those who desire a more detailed look at the litigation are directed to Martin Grams, Jr.’s The Twilight Zone: Unlocking the Door to a Television Classic (2008). The subtle special effects in “Miniature” were handled simply and efficiently. A full-sized interior set was constructed along with the actual dollhouse. The dollhouse could be filmed in exterior or outwards from the interior. The full-sized set was used to the stage the action within the dollhouse. “Miniature” was one of a number of episodes featuring dolls, dummies, and effigies from the fourth and fifth seasons. The series was producing so many of these type episodes (“Miniature,” “The New Exhibit,” “Living Doll,” “Caesar and Me”) that the show’s final producer, William Froug, declined to put into production a script by Richard Matheson simply titled “The Doll.” Froug felt there was an overabundance of doll stories being produced on the series and sold the script back to Matheson. 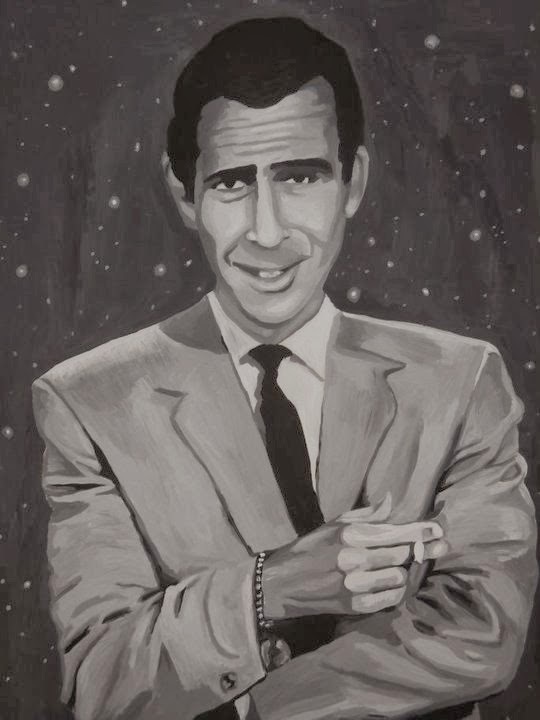 It was eventually published in the June, 1982 issue of Rod Serling’s The Twilight Zone Magazine before being produced on Steven Spielberg’s anthology series Amazing Stories. Phil Joanou directed the segment from Matheson’s script and the episode was broadcast on May 4, 1986. The nearly twenty-five years it took to arrive before an audience paid off for its creators as star John Lithgow took home an Emmy Award for his central performance and Richard Matheson nabbed a Writer’s Guild nomination for his script. A colorized segment of "Miniature"
The first appearance of “Miniature” after its initial broadcast came during a television special titled The Twilight Zone Silver Anniversary Special on October 20, 1984. The special consisted of three episodes previously unavailable in syndication: “A Short Drink from a Certain Fountain,” “Miniature,” and “Sounds and Silences.” The special was hosted by actor Patrick O’Neal, star of “A Short Drink from a Certain Fountain.” In an article covering the special, Stephen Holden of The New York Times described “Miniature” thus: “the young Robert Duvall plays a 30-year-old mamma’s boy who falls in love with a wooden doll in a museum exhibition. . . Mr. Duvall’s role demands only that he be half-witted and sweet.” The television special was notable because the dollhouse sequences from “Miniature” were colorized using hand-colored and computer processes. This has occasionally caused confusion from those who first experienced the episode with the colorized segments being led to believe the episode originally included color. Robert Duvall (b. 1931) is one of the most accomplished performers whose early careers included a stop on The Twilight Zone. The young actor who gives a moving yet emotionally restrained performance as Charley Parkes would go on to acclaim as one of the most gifted actors of his generation, nominated for seven Academy Awards (winning for Tender Mercies (1983)), as well as winning a number of other awards, including the Golden Globe (of which he won four), the Screen Actors Guild, and the Emmy Award. Duvall was at one time labeled the most versatile actor in the world by the Guinness Book of World Records during a career which saw him play a diversity of roles, including such political figures Joseph Stalin and Adolf Eichmann. Born in San Diego and raised in the Annapolis, Maryland area due to his father’s service in the Navy, Duvall would eventually make his way to New York City to study acting. A busy and fruitful career on the New York stages during the 1950s led to television work in the early 1960s. Duvall appeared as the titular character in an adaptation of Edgar Allan Poe’s “William Wilson” in the premier episode of the short-lived replacement series Great Ghost Stories (1961). He also appeared in the Alfred Hitchcock Presents episode “Bad Actor” (1962), scripted by Robert Bloch from a story by Max Franklin. Duvall appeared in The Outer Limits episodes “The Chameleon” and the two-parter “The Inheritors.” Other genre television appearances include Kraft Suspense Theatre, Voyage to the Bottom of the Sea, and The Time Tunnel. After a hiatus Duvall returned to television for the award-winning miniseries Lonesome Dove (1989), based on the Pulitzer Prize-winning novel by Larry McMurty, for which Duvall received a Golden Globe and an Emmy Award as Captain Augustus McCrae. Film work followed the early television work, including a memorable role as Boo Radley in To Kill a Mockingbird (1962). ** An appearance in George Lucas’ first film, THX 1138 (1971), led to a role in that film’s producer Francis Ford Coppola’s production of The Godfather (1972), a career defining moment. Duvall also appeared in Coppola’s troubled production of Apocalypse Now (1979) as Lt. Colonel Bill Kilgore, the surf-loving commander who uttered the famous proclamation, “I love the smell of napalm in the morning.” Other notable film roles include The Godfather Part II, The Great Santini, The Handmaid’s Tale, Falling Down, The Apostle, The Judge, and many others. Most recently, he appeared in the 2018 suspense film Widows. In support of Duvall’s central performance is an impressive assemblage of veteran actors. Pert Kelton (1906-1968) portrays the doting Mrs. Parkes in the way of an endearing caricature. The veteran actress began her career in vaudeville before moving to more lucrative stages, eventually making it on Broadway. Regular film work followed in the 1930s. Kelton took a hiatus from screen acting after the end of the decade, not reappearing until the advent of television in the early 1950s. She is probably best remembered today as the original Alice Kramden, wife of Ralph Kramden (Jackie Gleason), on the variety series Cavalcade of Stars. Barbara Barrie (b. 1931) portrays Myra, Charley’s perceptive and protective sister. Barrie has enjoyed a distinguished career built up the old-fashioned way through the New York stages. Barrie enjoyed stage work and continued to appear on stage well into her film and television career. She was nominated for a Tony Award for her role as Sarah in Stephen Sondheim’s Company (1970). Like so many stage actors Barrie transitioned to television in the 1950s, appearing on dozens of series including turns in such genre programs as Suspicion, Great Ghost Stories, Kraft Mystery Theater, The Alfred Hitchcock Hour, and The Invaders. Barrie’s breakthrough screen role came in 1964 in the controversial film One Potato, Two Potato, in which she portrayed a white divorcee who falls in love with a black man. Barrie received an Academy Award nomination for her performance. Barrie aged gracefully into a reliable character actor who has continued to appear regularly in guest roles on a variety of television series. Lennie Weinrib (1935-2006) portrays Myra’s good-natured husband Buddy. Weinrib appeared in a handful of Alfred Hitchcock Presents episodes and in Roger Corman’s Poe-anthology Tales of Terror (1962), scripted by Richard Matheson, but found his true calling as a voice actor. Beginning in the 1960s, Weinrib amassed dozens of voice acting credits on many children’s programs, most notably as the voice of H.R. Pufnstuf. His last credited voice work was as Max the Mole in an updating of Hanna-Barbera’s Yogi the Bear titled Yo Yogi! Richard Angarola (1920-2008) portrayed the menacing, black-clad suitor. Angarola had a long and busy career as a hardworking supporting player. He began his television career in a bit role on Alcoa Presents: One Step Beyond in the episode “The Return of Mitchell Campion.” A lot of work in crime and detective series followed although Angarola’s versatility is apparent in his diverse number of appearances: Mike Hammer, Bonanza, The Andy Griffith Show, and Honey West, among others. Angarola’s genre appearances include two episodes of Kraft Suspense Theatre and the 1969 shocker What Ever Happened to Aunt Alice? The remainder of the cast should be familiar faces to regular viewers of The Twilight Zone. William Windom (1923-2012) portrayed the obligatory psychiatrist. Like many of Beaumont’s doctors, Windom is sympathetic yet incapable of understanding the extraordinary circumstances of his patient. Windom was a prolific television actor who graced dozens of programs with exceptional acting. He previously appeared on The Twilight Zone as the Major in “Five Characters in Search of an Exit.” He appeared in perhaps his finest role as a businessman on the edge of retirement coming to terms with the past in Rod Serling’s masterful Night Gallery episode, “They’re Tearing Down Tim Riley’s Bar.” Windom returned to Night Gallery for “Little Girl Lost.” Other genre programs to get the Windom touch include Lights Out, Boris Karloff’s Thriller, Kraft Mystery Theater, The Invaders, and Circle of Fear, the latter being an anthology series developed by Richard Matheson. Prolific actor John McLiam (1918-1994) gives a refreshingly different performance as the curious museum guard, a role which in lesser hands would have devolved into one of antagonism and one-dimensional service. As it is, McLiam imbues the guard with a sympathetic nature whose own loneliness (or boredom) draws him to the curious Charley Parkes. The way in which the episode ends, with a circular narrative in which the guard sees the life inside the dollhouse, is more than a fitting denouement. McLiam appeared in dozens of television series, mostly westerns and police dramas. He also appeared on The Twilight Zone in “The Shelter,” “The Midnight Sun,” and “Uncle Simon,” only receiving credit for the first. McLiam also appeared on other genre programs such as The Outer Limits, Kraft Suspense Theatre, Voyage to the Bottom of the Sea, and The Invaders. Rounding out the cast is the ever-reliable Barney Phillips (1913-1982) as Charley Parkes’ boss Mr. Diemel, who must let Charley go when it becomes clear that Charley will never fit in with his co-workers. Phillips is one of the most recognizable actors on The Twilight Zone due to his appearance in Rod Serling’s “Will the Real Martian Please Stand Up?” in which Phillips donned a third eye on his forehead to portray a Venusian masquerading as a short-order cook in an out of the way diner. Phillips also appeared in “The Purple Testament” and “A Thing About Machines.” Phillips can also be spotted in episodes of Science Fiction Theatre, Kaft Suspense Theatre, The Alfred Hitchcock Hour, and the cult film I Was a Teenage Werewolf (1957). The director and composer for “Miniature” deserve mentions, as well. Walter E. Grauman (1922-2015), director, was behind the camera only this single time for The Twilight Zone. He began by directing the low-budget horror film The Disembodied (1957), a film notable for offering a starring vehicle to Allison Hayes a year before she portrayed the title character in Attack of the 50 Foot Woman (1958). Grauman moved quickly into the lucrative television market and began a busy career shooting dozens of series. The intermittent feature film offered such items of interest as Lady in a Cage, a 1964 shocker which featured Olivia de Havilland as a woman trapped in her private elevator who is tormented by a young James Caan. The music of Fred Steiner (1923-2011), composer, can be heard in dozens of Twilight Zone episodes. Notable are Steiner’s original compositions for “King Nine Will Not Return,” “A Hundred Yards Over the Rim,” “The Passersby,” and “Mute,” portions of which reverberate across the series as stock music cues. Steiner enjoyed a long and busy career providing music for many television series and feature films. He composed the theme for Perry Mason and several scores for the original Star Trek. The wistful composition which the Doll plays on the piano is “Piano Sonata no. 11 in A major” by Wolfgang Amadeus Mozart. “Miniature” is an episode which has a number of excellent selling points: a thoughtful, sensitive script by Charles Beaumont, a quiet yet mesmerizing performance by Robert Duvall, an excellent supporting cast, some pleasing special effects, and a fine Fred Steiner score. 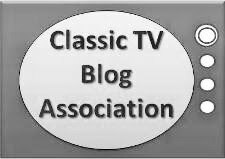 The notoriety of the episode has likely suffered due to its long absence from syndication packages as well as its misfortune for being one of the hour-long fourth season episodes. Nevertheless, it is essential viewing, especially for fans who desire a full appreciation of the show’s range. It may even sway some viewers who do not always enjoy the hour-long episodes. It comes highly recommended. *A sixth episode, “The New Exhibit,” is credited to Beaumont but was ghost-written by Beaumont’s friend Jerry Sohl after Beaumont became unable to write due to the effects of the disease which would take his life four years later. **To Kill a Mockingbird is a film whose cast should be familiar to viewers of The Twilight Zone. Members of that cast included Frank Overton, Ruth White, Collin Wilcox, Robert Duvall, William Windom, and Mary Badham, all of whom appeared on The Twilight Zone. --John McLiam also appeared in “The Shelter,” “The Midnight Sun,” and “Uncle Simon,” uncredited in the latter two episodes. --“Miniature” was adapted as a Twilight Zone Radio Drama starring Lou Diamond Phillips. A rare A from the Vortex! Thanks for this fascinating look at a classic episode. Thanks, Jack! I've always been a fan of the fourth season but I'm enjoying some of these episodes even more than I thought I would when going back over them. Miniature, I agree, is a top 10 hands down! Superb acting by a young Robert Duvall. Charlie Parks is a social outcast and even when his family tries to help him out of his shell, he fails at every level. Charlie gets fired for being a square peg, he gets slapped by a blind date his sister fixed him up with because he doesn't know how to act with a woman, and gets committed to a mental-health facility because he suffers a mental breakdown at the museum smashing a doll-house thinking his crush is being taken advantage of by a caped interloper from outside of the house! Finally, when he gets released from the hospital he feigns sanity and escapes from is room back to the museum and hides out after-hours only to completely disappear. When his family, the psychiatrist, go back to the museum, they cannot find him except for the incredulous guard who sees Charlie in the doll-house now with the pretty woman in motion. Great ending! It really is a great script and is one of the few hour-long episodes which would have felt very compressed if whittled down to a half-hour. Although there are some stinkers in the fourth season these writers were more than capable of crafting an effective hour-long play. Beaumont was perhaps the best of them all at this, as I think "In His Image," "Miniature," "Printer's Devil," and "Passage on the Lady Anne" are all very good hour long plays. I feel the same about "The New Exhibit" but I give that credit to Jerry Sohl as ghostwriter.